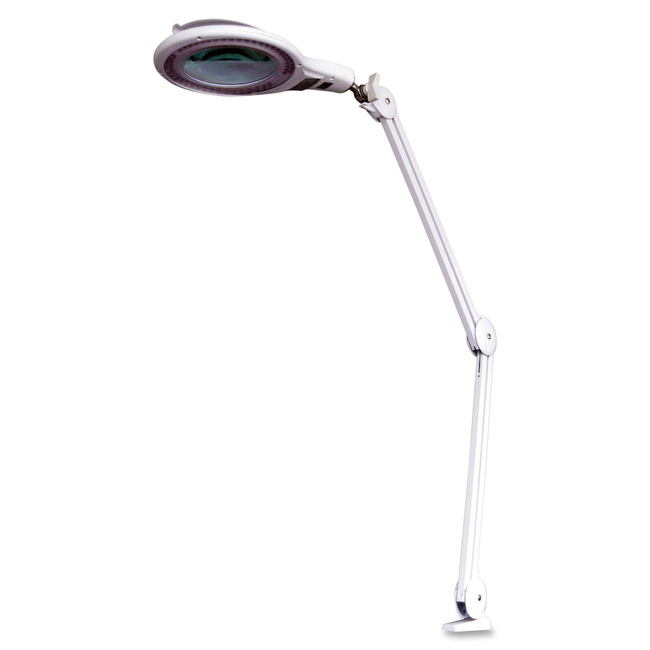 LED Illuminated Magnifier uses up to 70 percent less energy with the Vision 3 diopter LED magnifier desk lamp. The 5" viewing area allows detailed work. Tension arm offers a 45" reach with a fully adjustable lamp head. Lamp also features all-metal construction with desk clamp and easy open magnifier lid.